Rochambeau and Washington lovers: Hear ye! Hear ye! Great news for all of us who love our American history. My son, Rusty Dyer, and I joined a DARR/CAR trip to Philadelphia, PA to pay it a visit October 14-15, 2017. 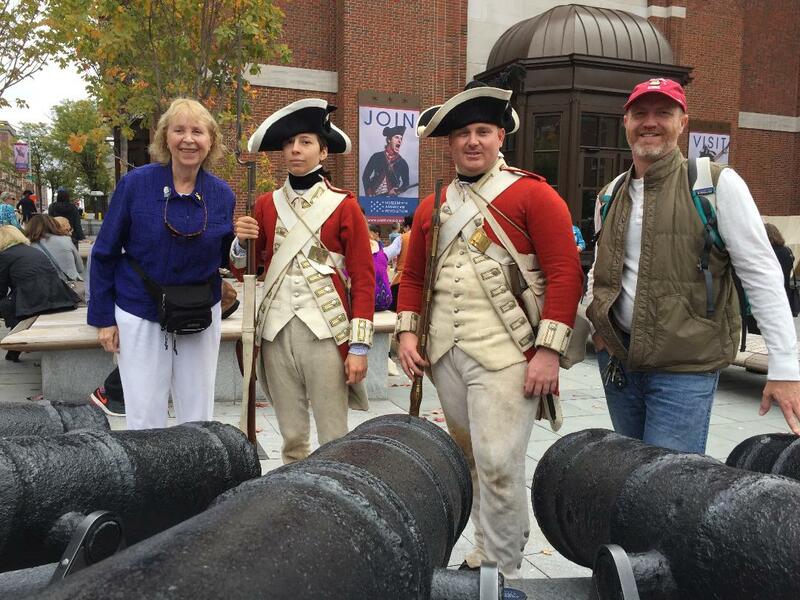 Here we are outside the entrance with the cannon (no ’s) and the Redcoats!!! They look friendly enough. In fact, they were downright affable! It was Rusty’s birthday on the 15th, and he was born not far from this spot at the Hospital of the University of Pennsylvania (HUP). What a great way to CELEBRATE! Time to beat the drum and gather troops together to honor Rochambeau.